This is one of the easy 3 ingredients recipes. 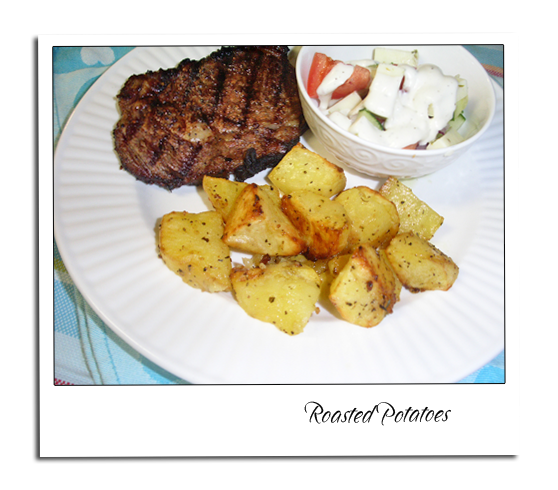 Roasted Potatoes a side dish that doesn’t take no time to prepare. Whatever you have with these potatoes make sure you prepare these first, since it does take about an hour till they are done. Preheat the oven to 400F. Sometimes I use small whole potatoes and sometimes I peel and cube my potatoes. 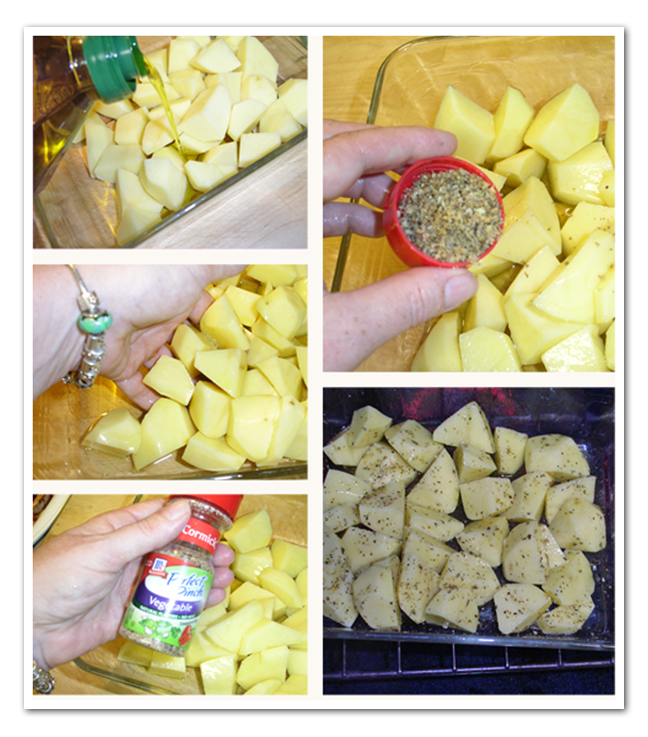 Whichever potatoes you want to use for this roasted potatoes dish. Pour the olive oil in the baking dish, add the potatoes and mix well with the olive oil. Add 1 cap full with the McCormick seasoning mix. Bake for about 1 hour or until the potatoes are crunchy and done. This is one of the easy 3 ingredients recipes. 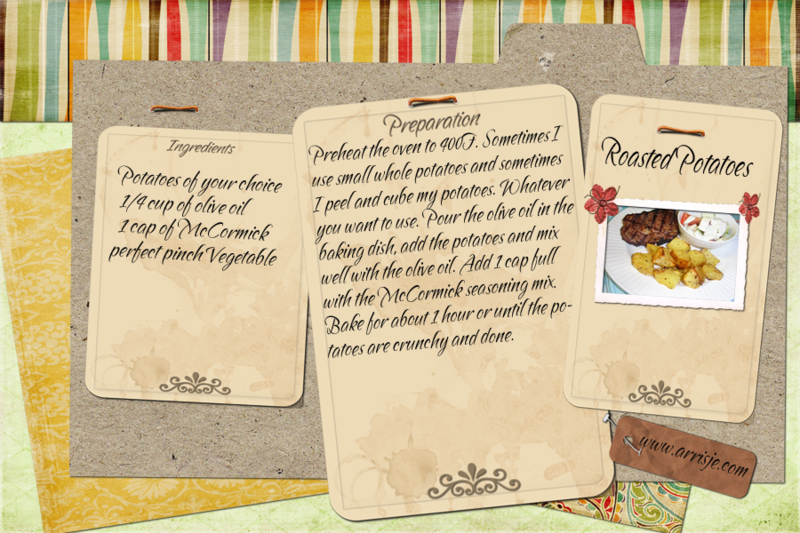 Roasted Potatoes a side dish that doesn't take no time to prepare. Whatever you have with these potatoes make sure you prepare these first, since it does take about an hour till they are done. Preheat the oven to 400F. Sometimes I use small whole potatoes and sometimes I peel and cube my potatoes. Whatever you want to use. Pour the olive oil in the baking dish, add the potatoes and mix well with the olive oil. Add 1 cap full with the McCormick seasoning mix. Bake for about 1 hour or until the potatoes are crunchy and done.